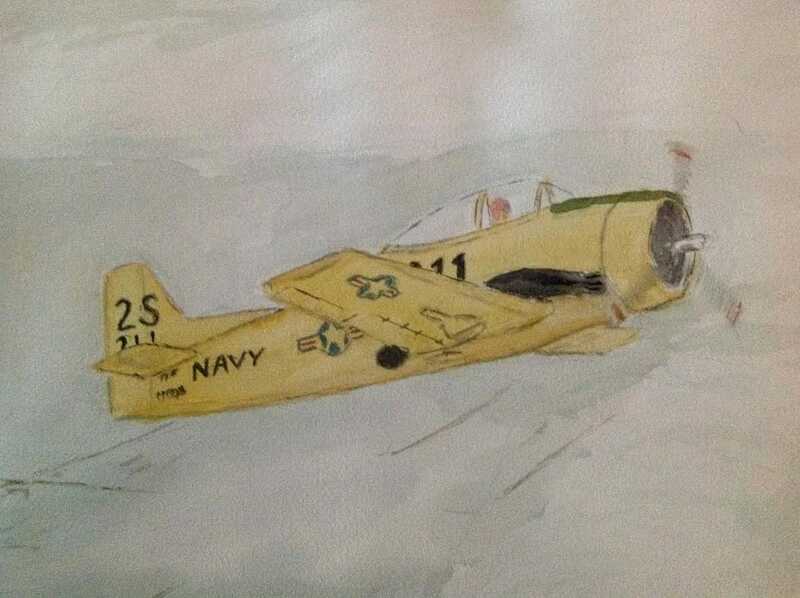 Each day at NAAS Saufly Field, the NATC site for flight training in the T-34B, an instructor would launch in a T-28B and explore the Saufley operating areas and radio his findings back to the tower. Generally, Florida weather was VFR, but occasionally, fog might settle in near Mobile Bay, and the only way to discover the local conditions was in this manner. 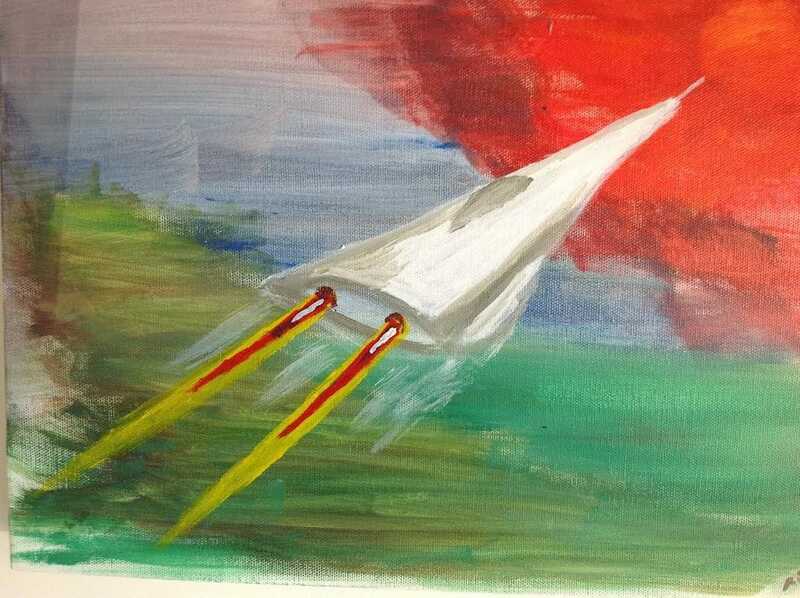 One thing about being a painter, you can dream up just about anything, including your own hypersonic designs! 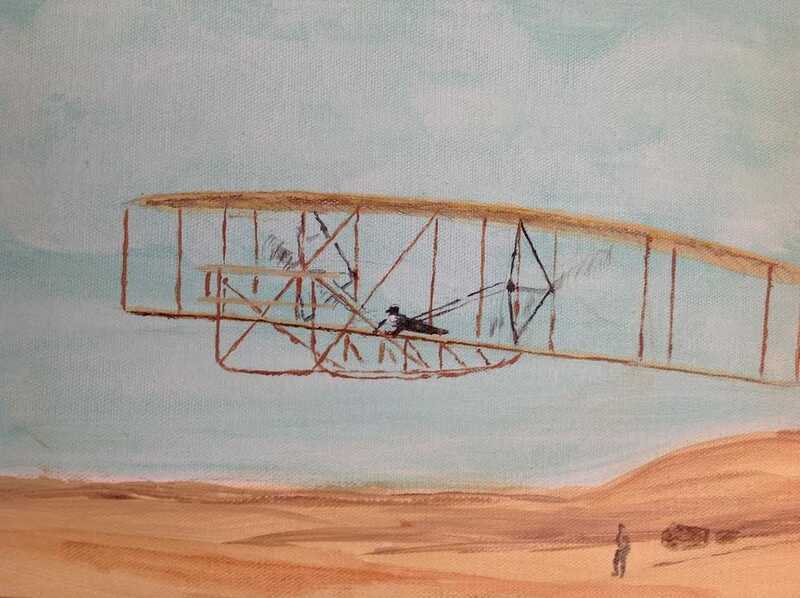 Powered flight all began on Kill Devil Hill in Kitty Hawk NC. Our family became so much in love with the outer banks, we built a small cottage in 1969, and then purchased another up in Duck, NC. 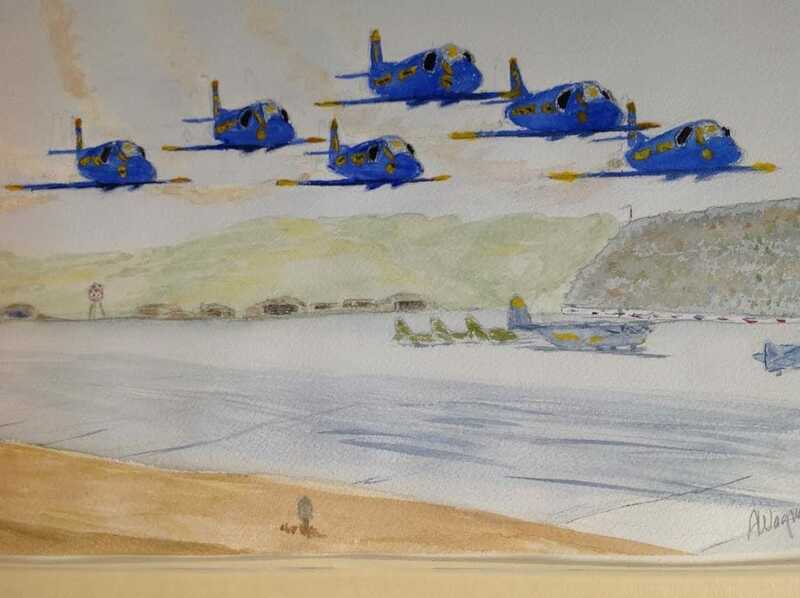 Watching the USN Blue Angels perform is a pure joy, whether it was in the original F6Fs under "Corky" Fornof, or now in their F-18s. An A-4 in the Blues scheme sits on a pedestal on the campus of Savannah State University.